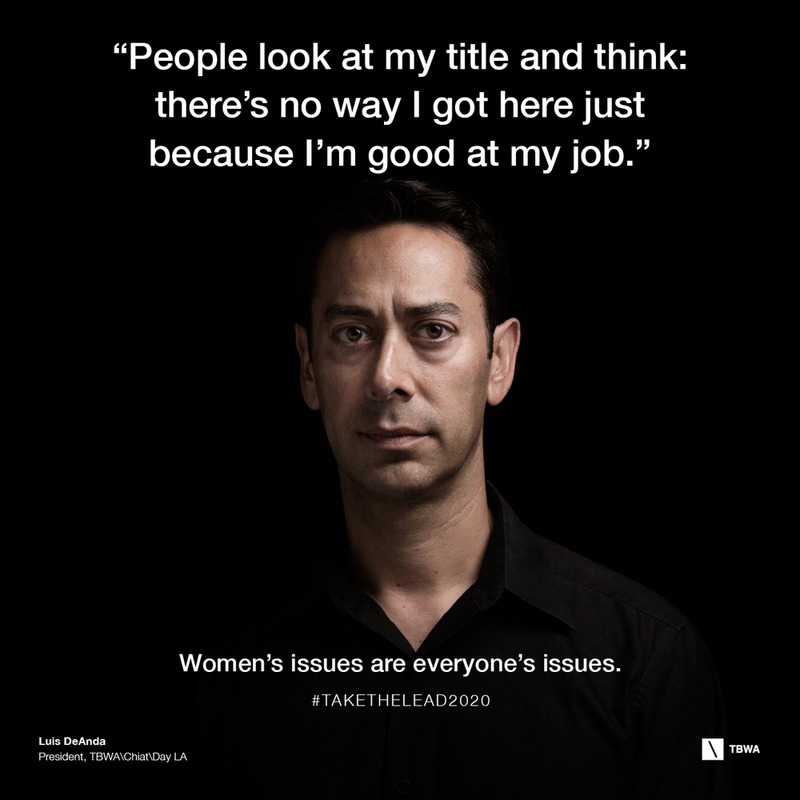 I volunteered to help on an internal TBWA project called Take the Lead 20\20, an initiative to increase female leadership by 20% by 2020. But in both meetings on the subject, there was only one man in the room: my partner. 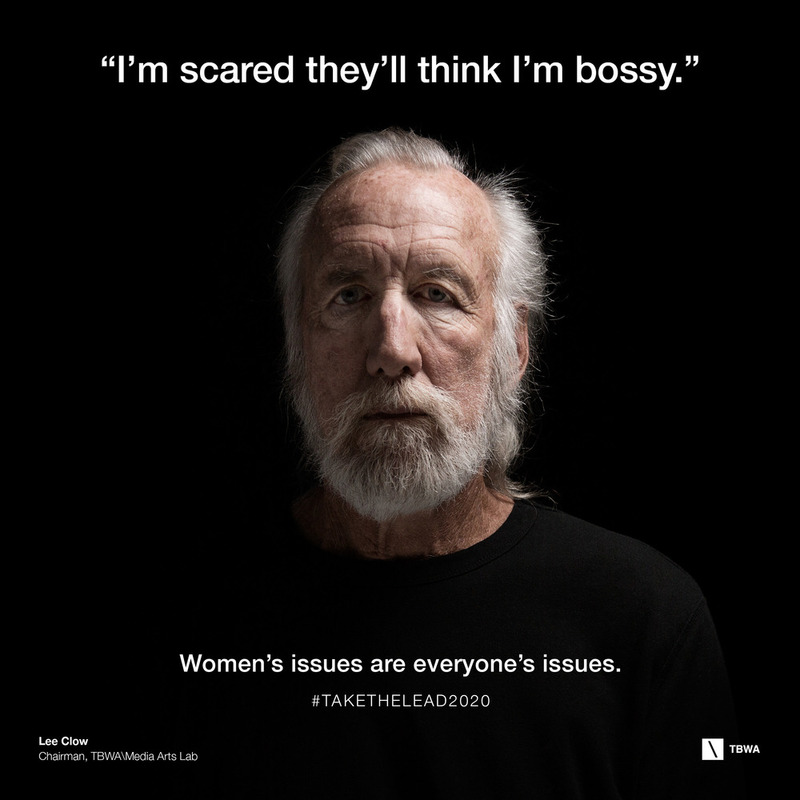 We discovered a huge problem facing us if we wanted to make an impact - the fact that as long as women's issues are only women's issues, only women will care. So we decided to get men involved. A small, renegade team of six people got together to create this campaign to make women's issues everyone's issues. 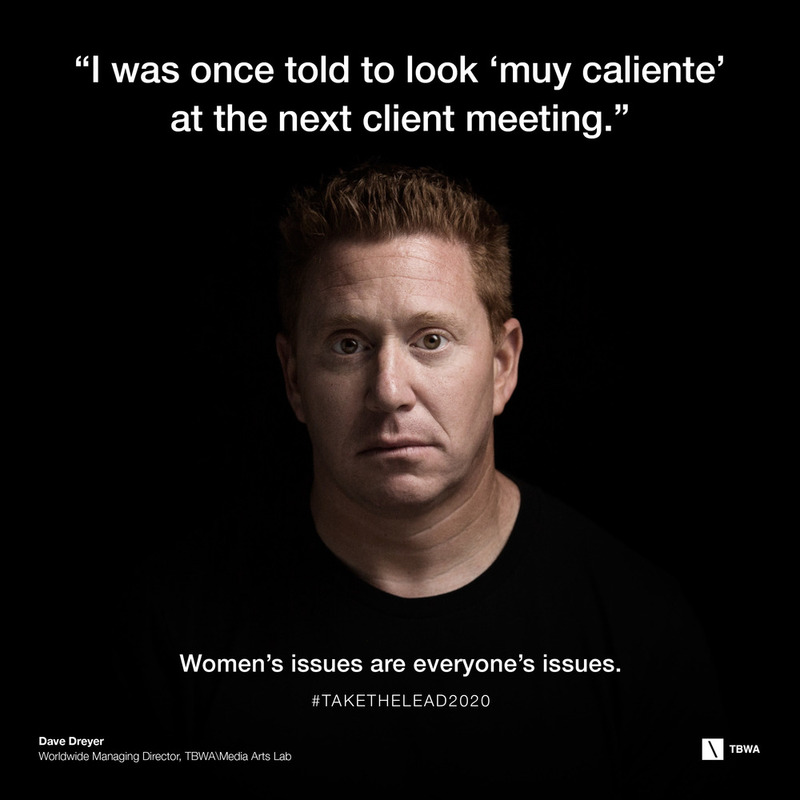 We conducted a global survey of women across our network and paired their quotes with their male peers. We worked with our network to get men from all over the world involved. We made a hero film, a hundred posters, social media videos and social media posts. We got picked up by Adweek, Creativity, Bustle, Huffington Post and Cosmopolitan. We got women all over the world moved, inspired and sharing the work. 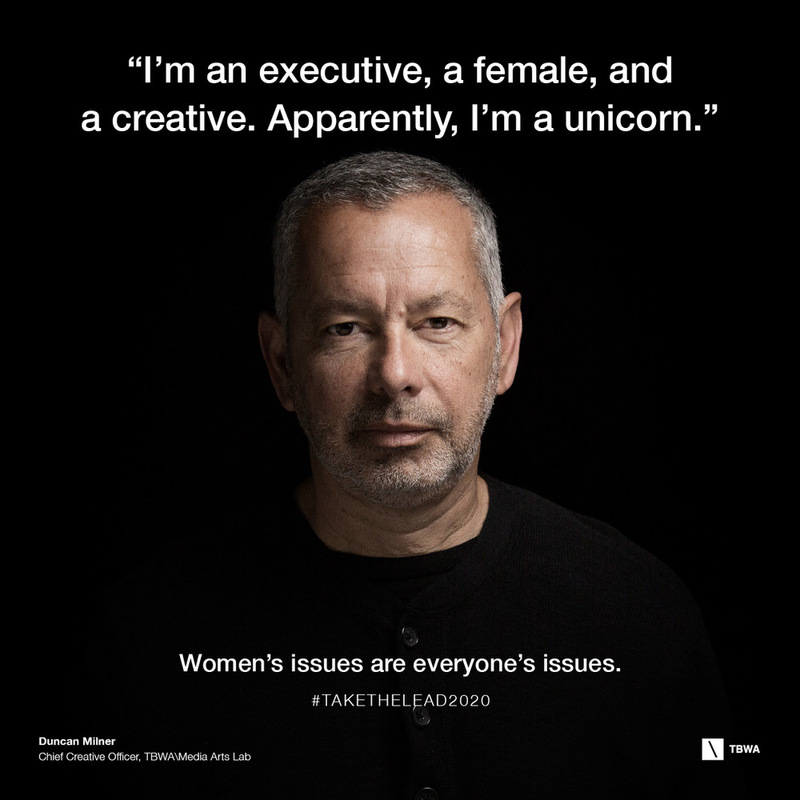 We got men involved, including the highest level executives across the TBWA network. We pissed some men off. And we did it all in two and a half weeks. But more importantly, we gave voice to things that women cannot say in a way that gets them heard. It is personal for me, and potentially the work that I am the most proud to share in my career thus far. Powerful, simple, beautiful, heartbreaking. I hope it does not stop here.